Macao artist Wong Ka Long’s exhibition “Armed Culture or Cultural Arms – Helmet Series by Wong Ka Long” is about to open at AFA on 20th October (Friday) ! Wong Ka Long graduated from the Guangzhou Academy of Fine Arts with a solid foundation in sketching and classical sculpting. With his high artistic attainments, he, as a modest and loyal spokesperson of the notables in the cultural and artistic sphere, has created numerous sculptures of them that stand across the tiny city of Macao. From the statue of Luís de Camões at the Taipa Houses to the bronze statue of Professor Jao Tsung-I, each one of them demonstrates his mastery and knowledge of the materials and techniques that characterises sculpture of the Italian Renaissance, Chinese Socialist Realism and Western modern art. Nevertheless, Wong has never slowed down his pace. He once exposed himself to culture shock while living among a heterogeneous community during his repeated stays in Hexi Corridor (an historical route of the ancient Silk Road in Gansu province in central China). He also underwent the tension and stress before the outbreak of a conflict triggered in Xiahe, the sacred place of Tibetan Buddhism. He always keeps a close eye on global issues, feels for war victims and has been witnessing the historical and cultural changes of Macao. 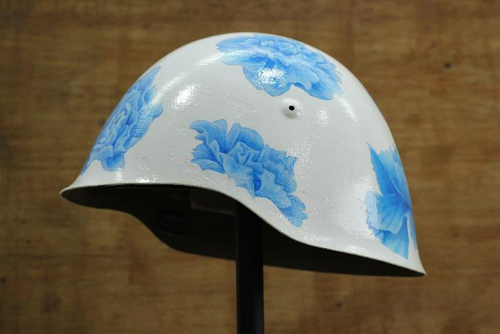 These experiences inspired him to start creating the ‘Helmet Series’ in 2012 and keep the relevant discussion alive. With his art techniques, Wong has successfully conveyed his deep philosophical reflection on warfare. This exhibition weaves together ingeniously the three courses of warfare, embodied by authentic combat helmets and sound effects, culture, by imitated and manipulated helmets and military culture, by pieces of ordnance acquired through collection or charity sale. 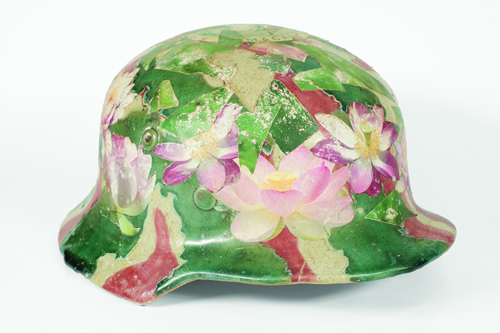 Wong’s artworks are the arms of culture as well as a culture that is itself armed. Apart from stretching the mind of the viewers by urging them to contemplate the intricate relationship between warfare and culture, his art also encourages them to create a culture of their own through experiencing their own ‘lives of thought’. 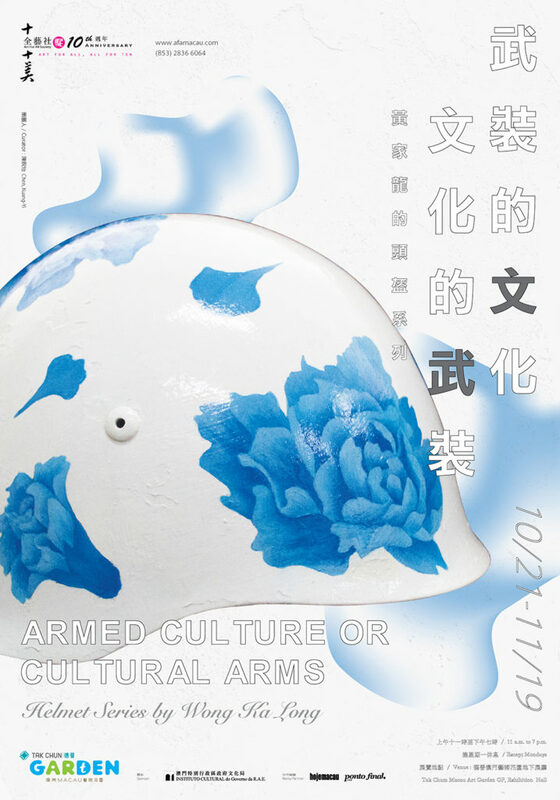 “Armed Culture or Cultural Arms – Helmet Series by Wong Ka Long” will start at 6:30 p.m. on Octorber 20 (Friday), at G/Floor, Tak Chun Macau Art Garden, Avenida Dr. Rodrigo Rodrigues N. 265, Macau. Tak Chun Macau Art Garden opens from Tuesdays to Sundays (11:00 p.m. to 7:00 p.m.) and closed on Mondays. The exhibition period is from October 21 to November 19, 2017. AFA Macau is located on the 4th Floor of Tak Chun Macau Art Garden, opens from Mondays to Fridays (10:00 a.m. to 7:00 p.m.). For enquiries, please call (853) 2836 6064 during office hours or email to [email protected]. For more information, please visit www.afamacau.com.